This article aims to help you remove The Dark Encryptor ransomware and show you how to try and get back files encrypted with .tdelf file extension. A ransomware virus, very similar to JigSaw ransomware has been discovered by malware researchers. The virus is believed to be created by someone calling himself “carlv”. The ransomware aims to encrypt the files on the PC’s which it has previously infected and demand a ransom payoff of 350 USD from the victims to pay in order to get their files back. If you are one of the victims of this virus, we strongly suggest you to read the following material. Short Description Resembles JigSaw ransomware. Encrypts the files and then adds a wallpaper with the ransom note, demanding 350 dollars to be paid to get the files back. Symptoms Files are encrypted to the point that they cannot be decrypted unless you have the private key. To them, the extension .tdelf is added. User Experience Join Our Forum to Discuss The Dark Encryptor. Malware obfuscators to conceal the loader or the infection objects from antivirus software. Exploit kits to exploit non-updated Windows operating systems. 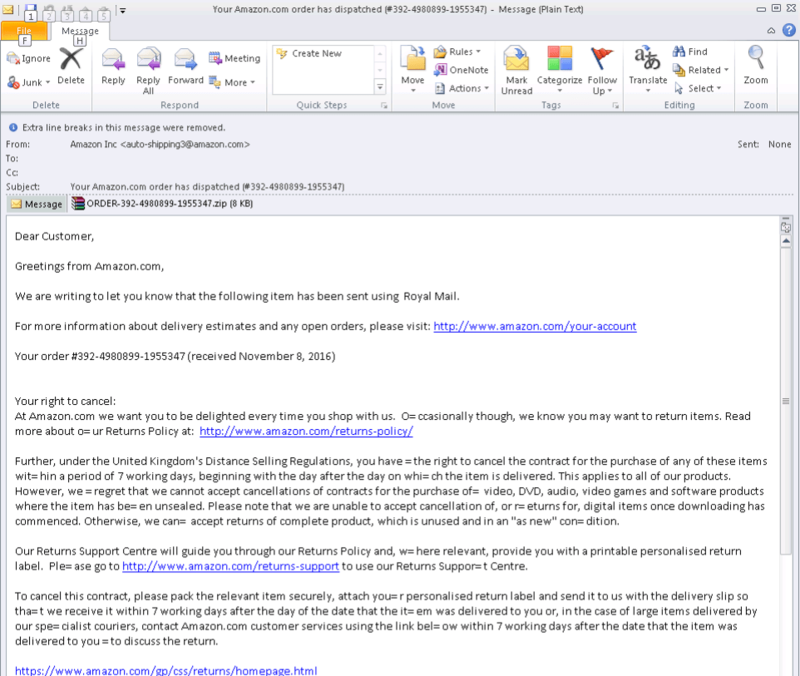 Spam software or spamming services to spread the infection file. A set of hosts to which the infection file connects and downloads the payload from. The virus may gain administrative access to your PC. It may add value strings in the Run and RunOnce Windows registry keys in order to run automatically on Windows start. It may delete the shadow volume copies on the infected computer by using the vssadmin and bcedit commands. All your files have been encrypted by THE DARK ENCRYPTOR using a military grade encryption algorithm. But dont worry ! You can get them backn you just need to pay 100 USD in bitcoin. For more informationst please read the text document placed on your Desktop. It is widely believed that The Dark Encryptor may use a strong encryption algorithm to render the files on the computers it infects no longer able to be opened. However, there is also the possibility that there is a mistake in the encryption mode and the virus later may be decrypted. For the encryption process, The Dark Encryptor uses the .tdelf file extension to identify itself. It is added as a suffix to the files encrypted by this virus. Documents related to Adobe software. Before doing any removal actions, we recommend you to backup your files even if they are encrypted. Then you can proceed with the removal process, preferably by following the removal instructions underneath. They are specifically designed to help you remove The Dark Encryptor either manually or automatically. In case you lack the experience in manual removal, cybersec experts recommend using an anti-malware scanner to eliminate The Dark Encryptor ransomware virus automatically. At this current point, there is no official decryptor for The Dark Encryptor ransomware threat. However, it may as well come out soon. We are monitoring the situation and will update this blog post as soon as a free decryptor is released. In the meantime, you are advised to try alternative file recovery methods, like the ones in step “2. Restore files encrypted by The Dark Encryptor” below. They may not be 100% effective, especially if you have reinstalled Windows, but may help recover a big portion of your encrypted files. Threats such as The Dark Encryptor may be persistent. They tend to re-appear if not fully deleted. A malware removal tool like Combo Cleaner will help you to remove malicious programs, saving you the time and the struggle of tracking down numerous malicious files. Threats such as The Dark Encryptor may be persistent on your system. They tend to re-appear if not fully deleted. A malware removal tool like SpyHunter will help you to remove malicious programs, saving you the time and the struggle of tracking down numerous malicious files. Note! Your computer system may be affected by The Dark Encryptor and other threats. SpyHunter is a powerful malware removal tool designed to help users with in-depth system security analysis, detection and removal of threats such as The Dark Encryptor. 1. Install SpyHunter to scan for The Dark Encryptor and remove them. 2. Scan with SpyHunter, Detect and Remove The Dark Encryptor. Ransomware infections and The Dark Encryptor aim to encrypt your files using an encryption algorithm which may be very difficult to decrypt. This is why we have suggested several alternative methods that may help you go around direct decryption and try to restore your files. Bear in mind that these methods may not be 100% effective but may also help you a little or a lot in different situations. Note! Your computer system may be affected by The Dark Encryptor or other threats. Remove The Dark Encryptor by cleaning your Browser and Registry. Fix registry entries created by The Dark Encryptor on your PC. Combo Cleaner is a powerful malware removal tool designed to help users with in-depth system security analysis, detection and removal of threats such as The Dark Encryptor. Step 5: In the Applications menu, look for any suspicious app or an app with a name, similar or identical to The Dark Encryptor. If you find it, right-click on the app and select “Move to Trash”. Step 6: Select Accounts, after which click on the Login Items preference. Your Mac will then show you a list of items that start automatically when you log in. Look for any suspicious apps identical or similar to The Dark Encryptor. Check the app you want to stop from running automatically and then select on the Minus (“–“) icon to hide it. Remove The Dark Encryptor – related extensions from your Mac’s browsers. A pop-up window will appear asking for confirmation to uninstall the extension. Select ‘Uninstall’ again, and the The Dark Encryptor will be removed. When you are facing problems on your Mac as a result of unwanted scripts and programs such as The Dark Encryptor, the recommended way of eliminating the threat is by using an anti-malware program. Combo Cleaner offers advanced security features along with other modules that will improve your Mac’s security and protect it in the future. 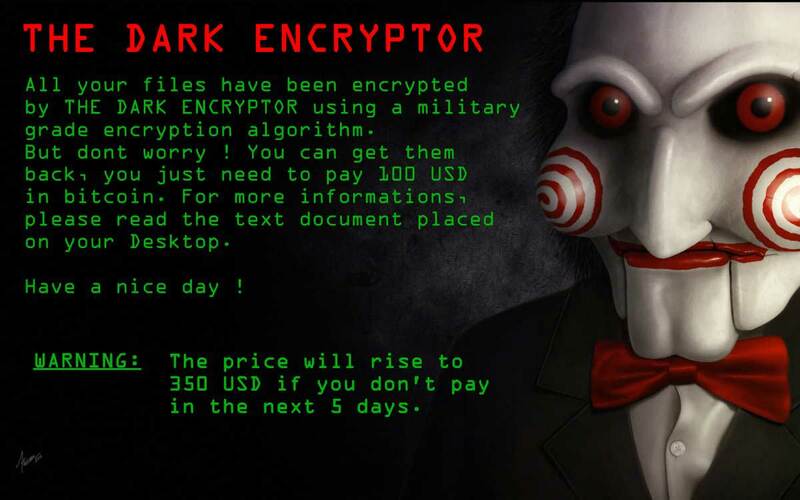 Hey !, I found this information for you: "The Dark Encryptor Ransomware (Restore .tdelf Files)". Here is the website link: https://sensorstechforum.com/dark-encryptor-ransomware-restore-tdelf-files/. Thank you.